Roto Fasco Canada recently installed a new Frech Die-Cast Machine. This addition enables Roto North America to further expand our manufacturing of quality window and door hardware by increasing automation and producing at optimal capacity. 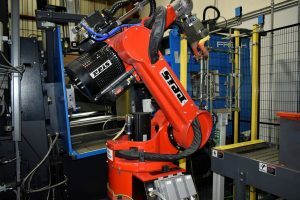 The new machine is up and running in our Mississauga, Ontario, plant, giving Roto a 20% increase in productivity (more parts and fewer rejects). 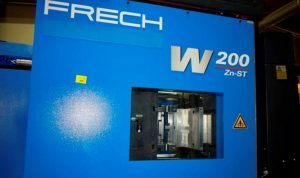 The Frech Die-Cast machine also requires minimal maintenance and has sensors for mold protection. About Roto Fasco Canada, Inc.
Roto Fasco Canada, Inc. is wholly owned subsidiary of Roto Frank AG, a global leader in window and door hardware, with 18 production plants and more than 40 subsidiaries worldwide. Roto Fasco Canada, Inc. is a Mississauga, Ontario, Canada-based manufacturer of window and door hardware which offers solutions for North American and European applications.